While the Armed Forces have cracked down on the Muslim Brotherhood, the Coup d’Etat is ultimately intended to manipulate the protest movement and prevent the accession of a “real people’s government”. The overthrow of President Mohamed Morsi by the Egyptian Armed forces was not carried out against US interests, it was instigated to ensure “continuity” on behalf of Washington. 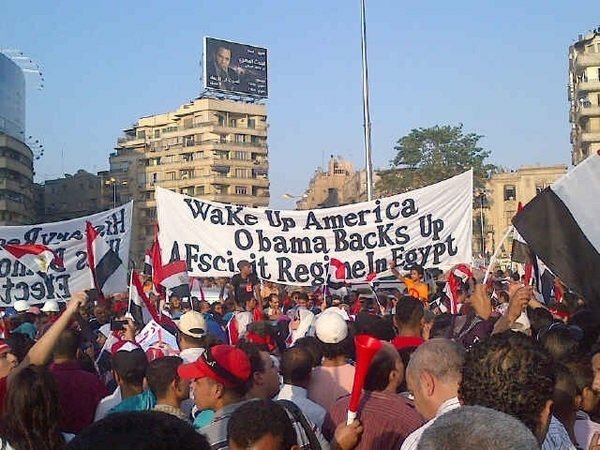 “Demonstrators carried hand-made posters denouncing Obama and his pro-Muslim Brotherhood Cairo Ambassador, Anne Patterson.” (F. William Engdahl, Global Research, July 4, 2013). These covert links to the CIA were maintained throughout the government of Hosni Mubarak. From the outset of the “Arab Spring”, the Obama administration’s objective was to undermine secular governments in the Middle East and North Africa and install a model “Islamic State”, which would serve US geopolitical and corporate interests. The protest movement against Mubarak in early 2011 was in response to the devastating impacts of IMF reforms. Initiated at the height of the Gulf War in early 1991, these reforms –which span over a period of more than 20 years– have served to impoverish the Egyptian people, while also “opening up” the Egyptian economy to the influx of “foreign investors”. The Nile Valley which was Egypt’s breadbasket for more than 3000 years was destroyed in favor of food imports from the US and the European Union. The resulting deregulation of food prices, sweeping privatization, austerity measures had led to poverty and mass unemployment. In turn, social programs collapsed, Egypt’s economy and financial system were destabilized. Continuity pertaining to neoliberal economic reform is central to US sponsored regime change. Morsi’s accession to the presidency was conditional upon his acceptance of IMF “economic medicine”. A new IMF package of (deadly) macro-economic reforms was launched with a view to “managing Egypt’s political and economic transition” (Ibid). The resulting IMF sponsored “transition” imposed by Egypt’s external creditors has served to exacerbate rather than alleviate the economic and social crisis. Social conditions have deteriorated dramatically since the demise of Hosni Mubarak. The mass protest movement against President Morsi was in large part motivated by the fact that the Mubarak era macro-economic reforms imposed by Washington and Wall Street continued to prevail, leading to a further process of impoverishment. 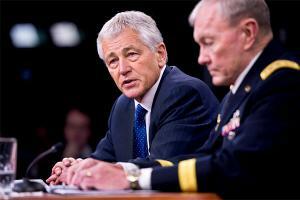 The Role of the Armed Forces: “Green Light” from the Pentagon? The media has portrayed the Egyptian armed forces as broadly “supportive” of the protest movement, without addressing the close relationship between the leaders behind the military coup and their US counterparts. 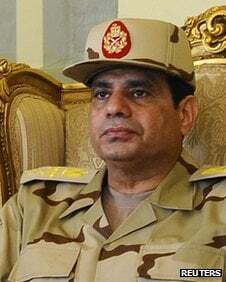 This is the message that the armed forces received from all over urban Egypt, its cities, and its villages; it (the military) recognized the invitation, understood its intentions, appreciated its necessity and got closer to the national scene hoping, willing and abiding by all limits of duty, responsibility and honesty. Known and documented, the mass movement has been infiltrated. Sectors of the opposition to the Muslim Brotherhood government are supported by the National Endowment for Democracy (NED) and Freedom House. The Kifaya civil society movement, is supported by the US based International Center for Non-Violent Conflict. The role of the armed forces is not to protect a grassroots movement. Quite the opposite: the objective is to manipulate the uprising and quell dissent on behalf of Washington. The objective of the military takeover is to ensure that the downfall of the Muslim Brotherhood government does not result in a political transition which undermines US control over the Egyptian State and military. Let us be under no illusions. While there are important divisions within the military, Egypt’s top brass ultimately take their orders from the Pentagon. 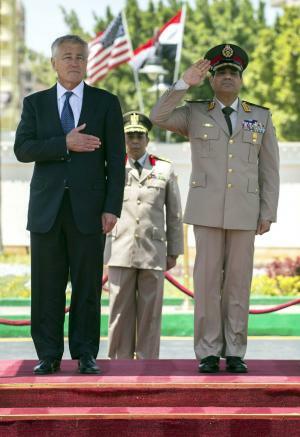 Defense Minister General Abdul Fatah Al-Sisi (left), who instigated the Coup d’Etat directed against President Morsi is a graduate of the US War College, Carlisle, Pennsylvania .